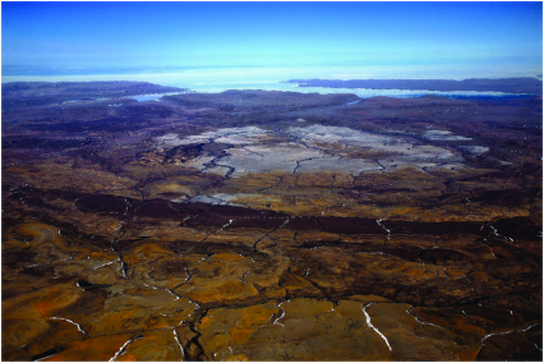 Haughton crater is an impact crater located on Devon Island (Nunavut). The site serves as an analog landscape for Mars exploration, and also yields the only known Miocene fossil vertebrate record in the Canadian High Arctic. Following field research led by Mary Dawson (Carnegie Museum of Natural History, Palaeobiology) in the 1980s, Natalia led multiple expeditions to the crater (2007-2010), which resulted in the collection of new fossil species including Puijila darwini – the “walking” seal. Research collaborations with Mary Dawson and John Gosse (Dalhousie University, Earth Sciences) and others, are ongoing.